The price to advertise on Bing is often less than half the price to advertise on Google Adwords. 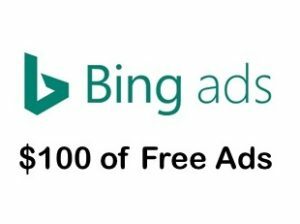 We offer $100 of Free Bing advertising. Contact us to take advantage of this offer.